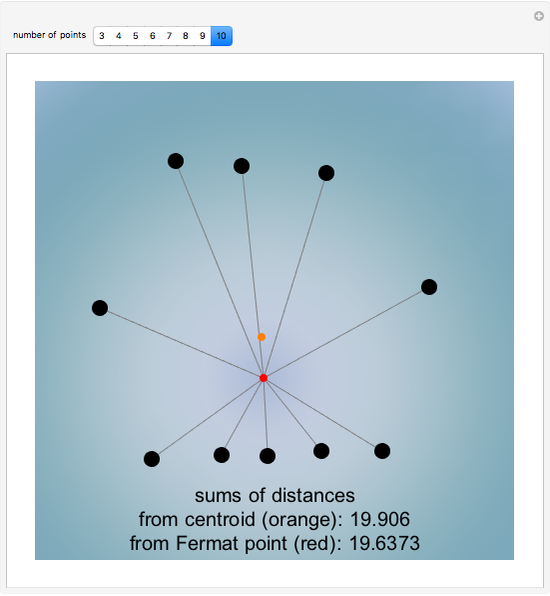 The Fermat point (or geometric median) of a set of sample points is the point minimizing the sum of the distances to them. This generalizes the concept of median, which has the property of minimizing the sum of distances for one-dimensional data. 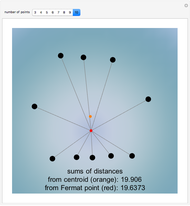 Finding the Fermat point is a standard problem in facility location, where it models the problem of locating a facility to minimize the cost of transportation. The special case of the problem for three points in the plane is also known as Fermat's problem and arises in the construction of minimal Steiner trees. 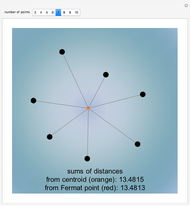 In this Demonstration, you can change the number and position of the sample points. 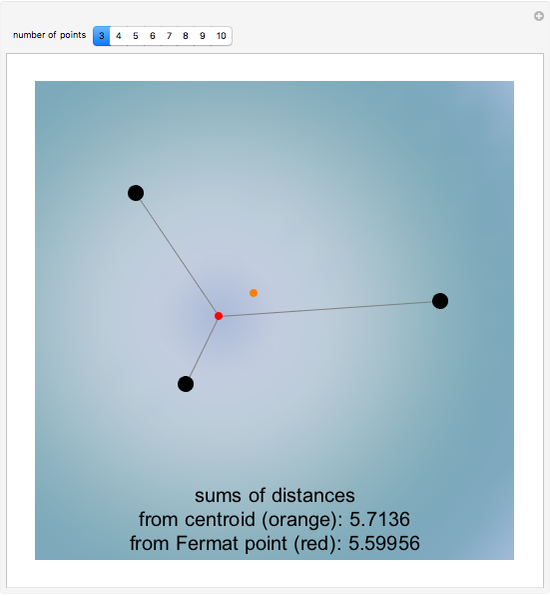 The Fermat point is drawn in red and, to compare it to the centroid of the points (drawn in orange), the corresponding sums of distances are shown. Jaime Rangel-Mondragon "Fermat Point for Many Points"